As a professor and the first director of Northeast State’s Cardiovascular Technology program, Connie Marshall enjoyed watching the College’s division of Health-Related Professions expand during the past decade. She now takes the reins as the division’s new dean overseeing five academic programs at the Regional Center for Health Professions (RCHP) in Kingsport. year. She received her associate of science degree from East Tennessee State University. 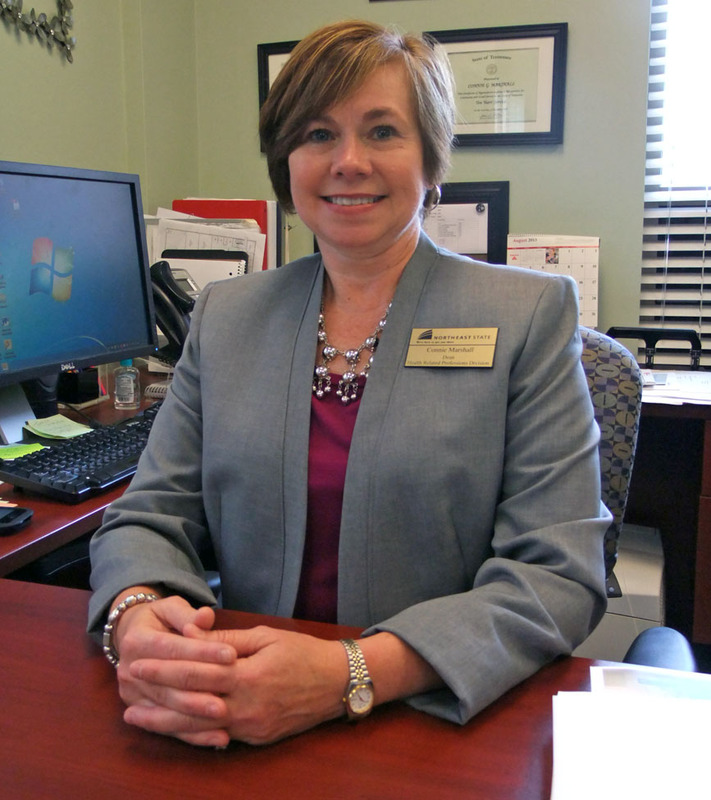 She earned her bachelor’s degree and master’s degree from Tusculum College. The division of Health-Related Professions includes the academic programs of Cardiovascular Technology, Dental Assisting, Medical Laboratory Technology, Surgical Technology, and Emergency Medical Technician-Paramedic. The departments select students through a competitive selection process based on academic performance and competence in curriculum requisites. Approximately 145 students are presently enrolled in the five programs. Health-Related Professions division operates at the RCHP as part of the Northeast State at Kingsport teaching site. The division’s full-time faculty and staff teach lecture and conduct laboratory components of each course. Marshall said the division expects to add certificates of completion for phlebotomy which is the process of drawing and collect blood samples and electrocardiogram testing in the near future. Be a part of Greek theater when the Northeast State Community College Department of Theater stages The Odyssey Abridged: A Puppet Journey of Epic Proportions. Actors daring to be caught between the Scylla and Charybdis are invited to two open auditions scheduled Sept. 4 and 5 from 5:00 – 8:00 p.m. at the Wellmont Regional Center for the Performing Arts (WRCPA) on the main campus at Blountville. THE ODYSSEY Abridged: A Puppet Journey of Epic Proportions is an original adaptation created by Northeast State’s own Brad McKenzie. The Odyssey opens this fall at Northeast State. Northeast State Theater stays true to its reputation as the most innovative theater department in the region with an elaborate production of actors and technical design. Based on The Odyssey by Homer and the translation by Samuel Butler, the play tells the story of Ulysses’ long journey home to after the Trojan War. 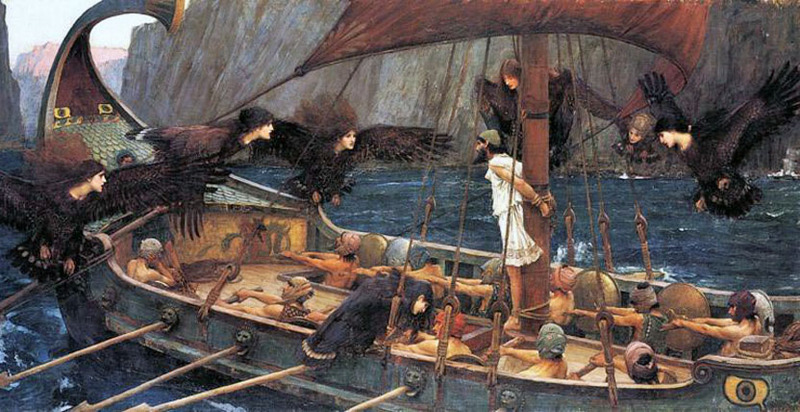 The Odyssey tells of this perilous trip fraught with giant puppet monsters, singing sirens, dangerous men, and the meddling gods of Mount Olympus. The auditions are being held at the main campus, 2425 Highway 75, adjacent to Tri-Cities Regional Airport. Call backs will be made on Sept. 6 between 5:00 to 7:00 p.m. Performers are asked to gather in the lobby of the WRCPA Theater. All actors should be familiar with the story and are asked to prepare a one-minute monologue to be read at the audition. Northeast State presents a variety of music education options this fall with a quartet of courses available to beginners and experienced performers. Music education offers a fun and challenging elective for students in any major. Fall courses including days and times are listed below. Music education at Northeast State. Fundamentals of Music is designed to help a student learn about music notation, meter, scales, intervals, key signatures, triads, melody, simple harmony, and sight singing. Northeast State Singers is a vocal ensemble for students who desire a musical experience. The Singers perform various choral works representing music from all historical periods and styles. 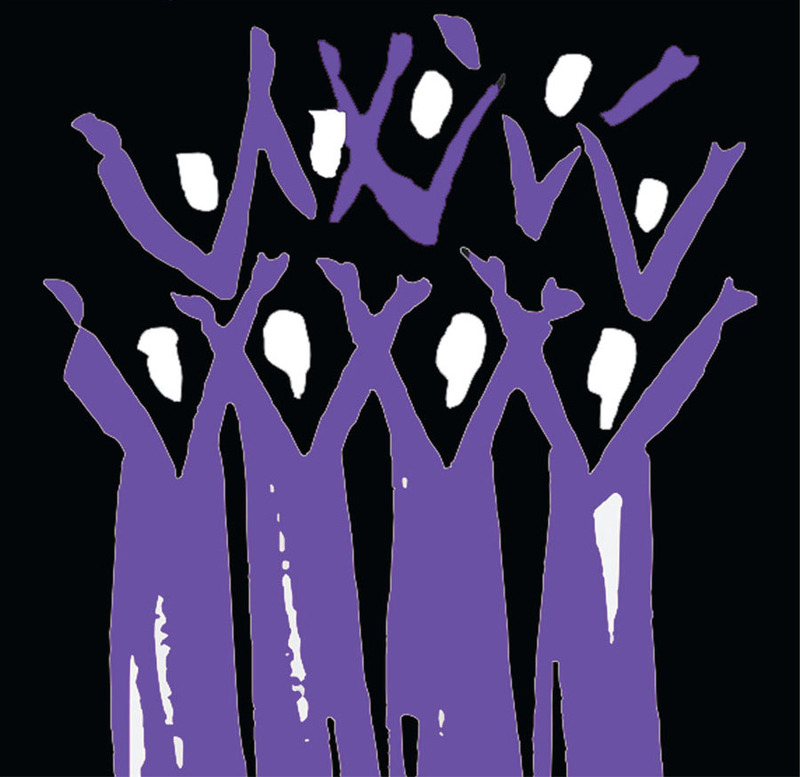 College Community Choir is a choral group for community members and students. Concerts will be presented throughout the academic year. Class Guitar for Beginners offers an introduction of chords, music reading, and the identification of notes in a group setting. Course is designed for beginning guitar student. Students must provide their own instruments. For more information, contact tcteague@northeaststate.edu or visit www.NortheastState.edu to register for fall. Fall classes are still available at Northeast State Community College with online registration ongoing and a daylong Open Registration session scheduled for next week. Open registration is scheduled for Aug. 21 from 8:30 a.m. to 6 p.m. Admissions representatives will be registering students in the Basler Library of the main campus in Blountville; at the offices of Northeast State at Elizabethton, 386 Highway 91; and at the Regional Center for Applied Technology, 222 West Main St., Kingsport. For more information, visit the web site or call the College’s office of Admissions at 423.323.0253 for more information. 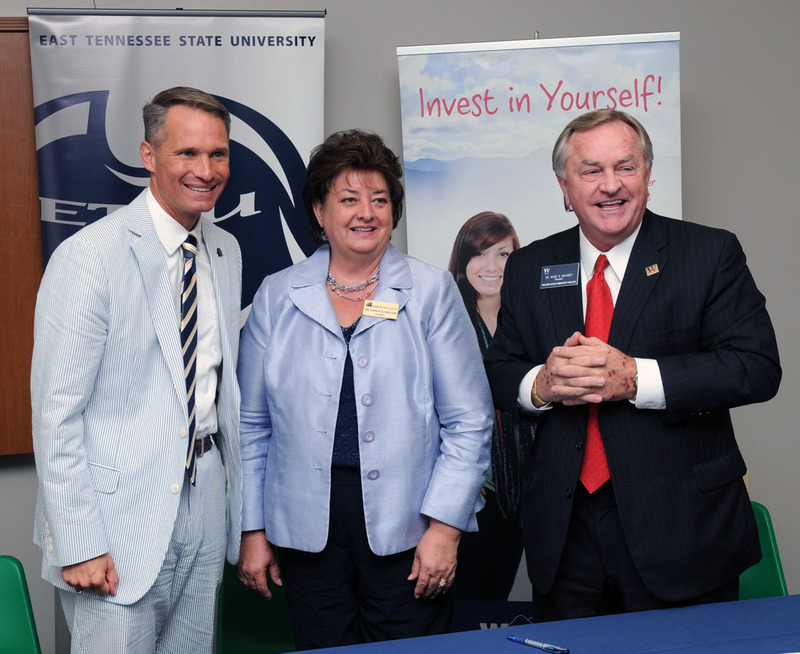 East Tennessee State University, Northeast State Community College and Walters State Community College announced the signing of a reverse transfer agreement between the institutions during a news conference on Tuesday. The announcement was made at ETSU. The ETSU reverse transfer program is available to students who have transferred to ETSU from NeSCC or WSCC prior to completing their associate’s degree. (From left) Dr. Brian Noland, Dr. Janice Gilliam, and Dr. Wade McCamey. The program will enable students to transfer course work from ETSU back to NeSCC and WSCC to complete the requirements for an associate’s degree. NeSCC and WSCC students who have completed a minimum of 15 semester hours toward the associate’s degree or 25 percent of the requirements for degree programs that are more than 60 credit hours will be eligible for the reverse transfer program.